Have you ever had a day where you feel like all the odds are stacked against you? You know the ones, you wake up and the coffee filter has fallen over and your coffee is full of grounds, the car won't start, you realize you have double booked some doctor appointments, or you get the phone call with the worst news. Whether it is a first world problem, a real world problem, or a personal problem, on those days it is hard to feel hope. But God promises that we aren't alone when we choose to follow Him. (Deuteronomy 31:6) We have the knowledge that this world, and the troubles in it, are temporary and that we have an eternity to look forward to where we will feel no sadness or pain. That rescues has already been accomplished through His death and resurrection. I realize, though, that knowing that truth doesn't always help us to feel that truth. This is when we need to turn to His word even more than usual. I love that God has included accounts of people who went through just about every hardship I can imagine. Their stories include more than just the happy ending, but all of the dirty, depressing details. Hannah begged for a child to love and endured quit some time before her request was fulfilled. Esther was elevated from a peasant life to being queen of her people and yet she discovered no more joy there than previously. In fact she learned that doing the right thing may require her very life. We see liars become father's of nations. Joseph is abandoned, enslaved, and imprisoned. Paul is beaten and imprisoned multiple times. If a person can experience it, God has shared it in His word. He does this for a purpose. Sometimes we need to see that we aren't alone in this; that even if we can't see God with our eyes, He is near to us-just as He was for all of those in the Bible. Our hope is not in that God will remove us from the situation, that He will make our day better or our situation go away. Our hope is in the knowledge that we are not alone on this journey. 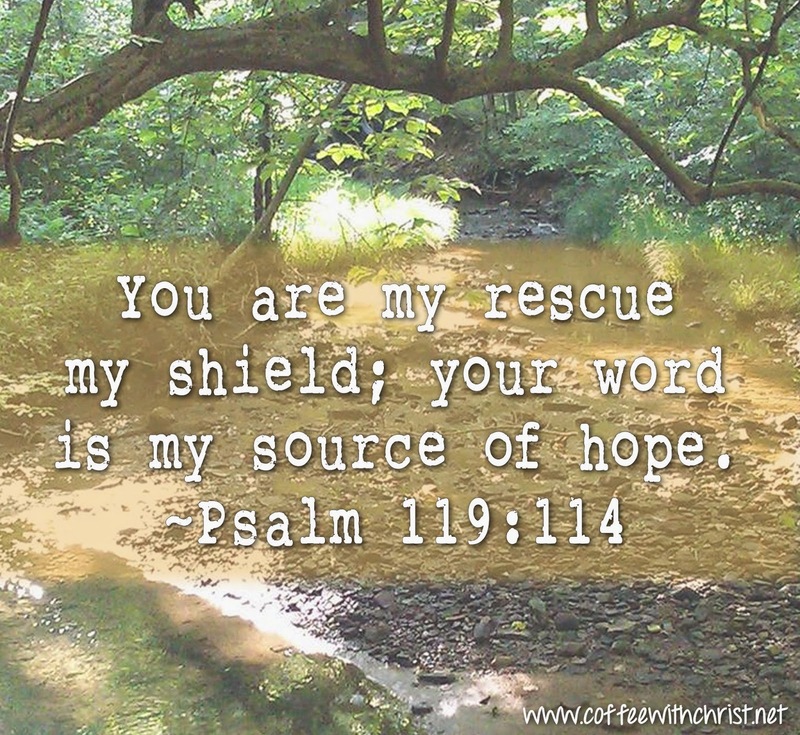 God is with us in the battle, shielding us and in the end we will be rescued. That may mean a rescue like Joseph's in which all of the bad is put behind us and we move on to great things here on earth, or it may mean a rescue like Stephen's in which the troubles on this earth are put away as we enter eternity with Jesus. Either way, in the words of Natalie Grant, "we win in the end ". As a side note, do you know that there is a special name for God in which He is called "the God who is near"? It is Elohei Mikkarov and it literally means the God who is near. No matter how bad your day or your situation is, find hope in the knowledge that He is always near.